One of the things that fascinates me most about Killer Whales is how incredibly socially oriented they are. These animals are fundamentally social, spending their entire lives together within their pods. They're remarkably smart, emotive, and evolved. They seem to simply delight in being wild, in every sense of that word. I'm learning a lot from this book. Like, that Pods have distinct calls, clicks, and whistles that they use to communicate pod to pod. It’s hard to explain this as anything other than language… which is passed down from generation to generation and is different depending on where in the world you find whales. Orcas in Iceland have distinct languages from those in, say, Washington. So, obviously, when Killer Whales are captured, taken from their family pods, and put into isolated concrete tanks, there are devastating effects. They are separated from their native families, and the whales they are placed with may be from a total other end of the earth and not even communicate in the same way that they do. Not only that, but Killer Whales from the Pacific are mammal eating, while Icelandic Killer Whales eat only fish. Trying to construct artificial "pods" by placing them together has proven problematic in the past.Case in Point: Kanduke and Kotar, residents of SeaWorld Orlando in 1988. Their regular altercations turns particularly violent when Kotar bit and severely injured Kanduke. But what about now? That sort of immoral violence in order to capture Orcas doesn’t happen anymore. That’s sort of because they breed their already-caught whales so that calves are born into captivity. Whales owned by SeaWorld are often rotated between San Antonio, Orlando, and San Diego depending on theme park needs. That includes the separation of mother and child. I have been astonished at the number of trainers-turned-activists there are in this city alone. A truly significant amount of people have given up their “dream job” of working one on one with captive cetaceans, simply because their conscious couldn’t allow them to continue. And honestly, who has more firsthand knowledge about the day-to-day of captive killer whales than SeaWorld trainers? 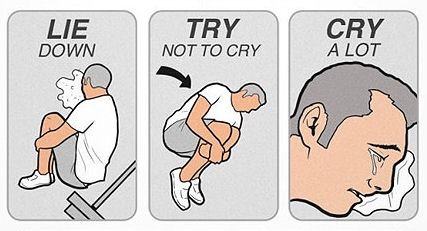 So, try not to start sobbing. Stories like this one become even more horrific when you learn that Killer Whale culture is fundamentally built around Mom. Pods are what are known as matrifocal (centered around the matriarch.) Adult females may eventually form their own pods when they old enough to be reproductive (Which in the wild is at about 15. SeaWorld breeds them much younger, as young as 5 or 6.) Male offspring, on the other hand, remain with their mothers THEIR ENTIRE LIFE. From infancy to old age, wild Orca Whales live by their mother’s side. 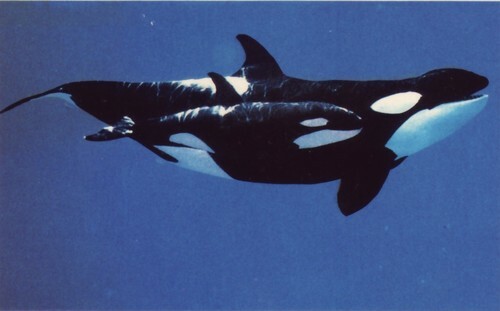 The very first Killer Whale born in captivity was Kalina. It was 1985, and "Baby Shamu" was a big hit with the press. At 4 and a half years old, she was shipped on a 4 year long "Baby Shamu Celebration Tour" through Ohio, Texas, and California, performing with whales she barely knew, far separated from her mother Katina. While on tour, baby Kalina too became pregnant, and gave birth at the tender age of six. After four years away, Kalina was eventually reunited with her mother in Orlando, but had to leave her own eighteen month old calf, Keet, behind in San Antonio. 1. Killer Whales are smart enough to have independent languages within their communities. 2. Their lifestyle is entirely family-based, and this is ruptured when they are introduced to captivity. 3. Whales placed in tanks together may be from opposite ends of the world and not even “speak the same language.” They have different diets, cultures, etc. This is an artificial attempt to create a "pod." Housing such different animals together has had devastating effects in the past. 4. 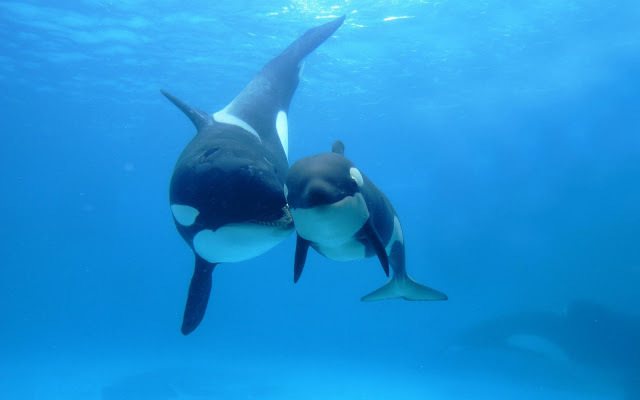 SeaWorld sometimes separates mother and child based on theme park needs, even though the whales would usually remain with their mothers their entire lives. Whales are bred at unusually young ages. 5. Whales have an emotional reaction to this separation, fight against it, and retain memory of it.